Looking to update your homes ceilings and remove the dated "popcorn" ceiling look? 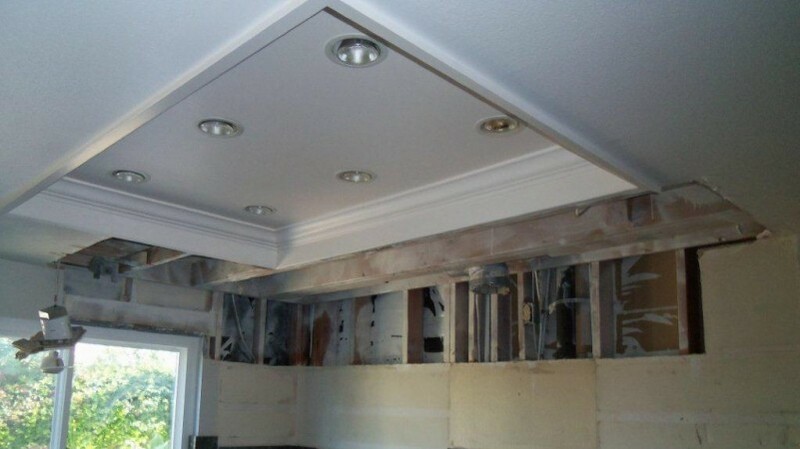 South County Drywall follows a strict process to ensure that homeowners are safe during the removal process as well as a CLEAN home during the entire process. 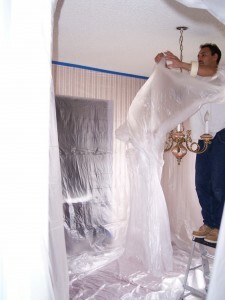 Many times we can remove the popcorn ceiling while homeowners are residing in their home. Our acoustic ceiling process ensures that each day we work, we leave the home dust free and as though we have never worked in the home. 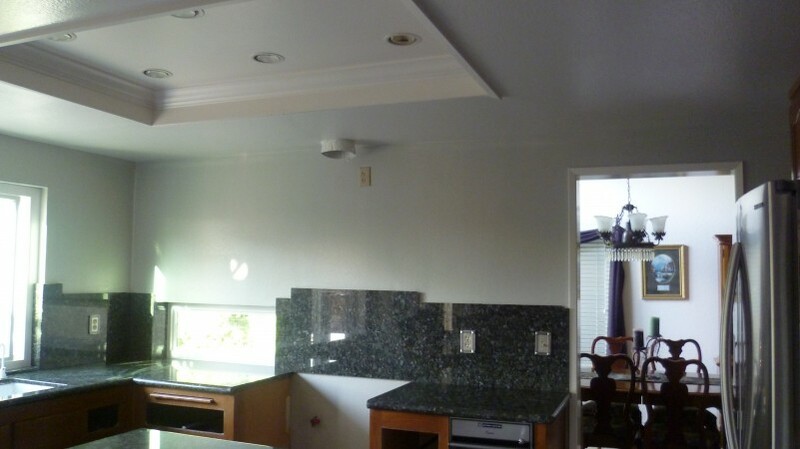 We have done thousands of homes in the Orange County and surrounding areas. Phase 1: Before arriving, you should remove any breakable items from your rooms which include all items from tabletops, mantles or top shelves. Pictures can stay on the walls and furniture will be moved if necessary. If your closets are to be included, please remove all items from the top shelf. Phase 2: Once the rooms are ready, all walls, doors, floors and furniture will be bagged off with plastic. Plastic will be double layered over the floor running up the wall by two feet. The walls and furniture will be completely covered with plastic which is masked down to keep it in place. Remember, you and your family will not have access to these rooms or areas in your home during the process, so plan accordingly. Water and electricity will be needed to do our work. 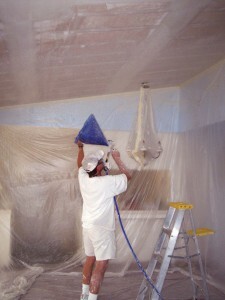 Acoustic Removal Stage: After the entire room is bagged off, the ceilings will be lightly sprayed with water to dampen the acoustic (popcorn). This makes the acoustic very soft which makes it quite easy to scrape off. The water also eliminates any dust that may be created in the removal process. Painting Stage: After you have waited 48 hours for your texture to dry you can have the painter come in to prime and paint your ceilings. It is important for the texture to be dry before priming and painting because your paint could peel if the texture is wet. Ask about our painting services when you schedule a free in-home estimate. Many homes were built with walls and ceilings made of plaster and lath. Plaster is durable however over time cracks and buckling become visible in ceilings and walls. There are many causes such as the settling of the home, air currents and moisture in walls and moisture between floors and ceilings. That is why we inspect the ceilings for any unstable areas and repair them before starting the refinishing process. For a complete history on plaster visit a Plaster history and background website. Once the ceilings have been scraped and inspected we float-out or re-skim the entire ceiling surface so that it is flat and smooth. We have found that it is crucial that this step be completed by a journeyman finisher. Do not be fooled in believing that the new texture will hide any imperfections. A poor finishing job will be revealed after paint is applied. The texturing process for plaster is the same as for drywall. 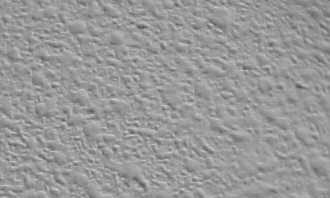 Because of the age and condition of most plaster ceilings we recommend a knock down (see photo) texture be applied. However because of the quality finishing job we do many customers want a smooth ceiling and that can be done for an additional charge. Click here to view other texture samples on our website.